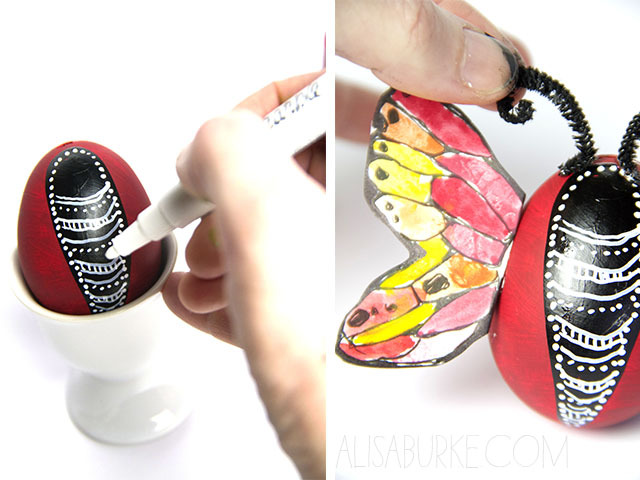 Spring is here and Easter is around the corner and for the last few years I've a tradition of coming up with a variety of egg decorating tutorials for my readers! Every year I challenge myself to get as creative as possible with all kinds of supplies. I've got a few fun ideas coming your way in the next couple of weeks. 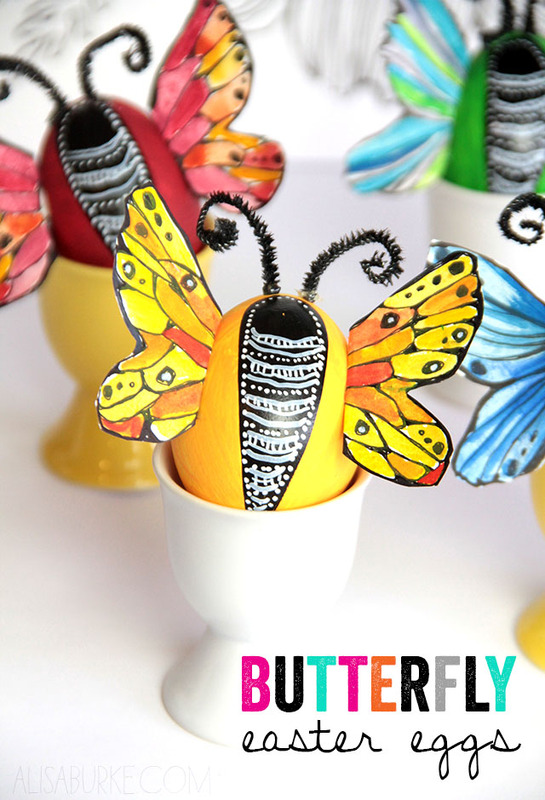 The first is a SUPER simple way to create butterfly Easter eggs and a perfect project for the kiddos! 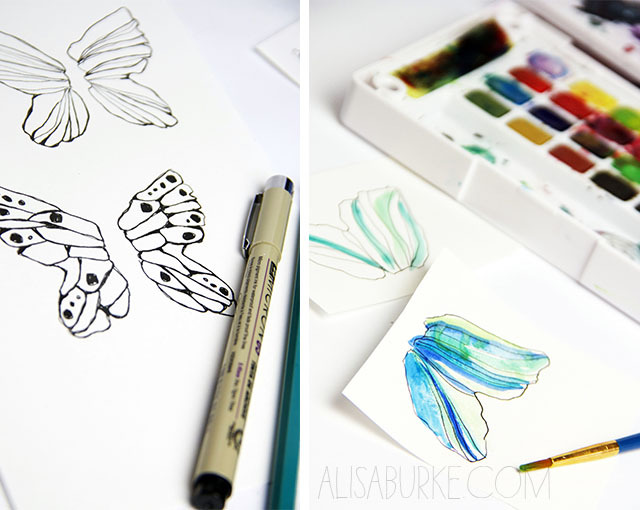 I started by drawing my butterfly wings-yes you could use a stamp or even print off digital wings but I like drawing and painting my own. 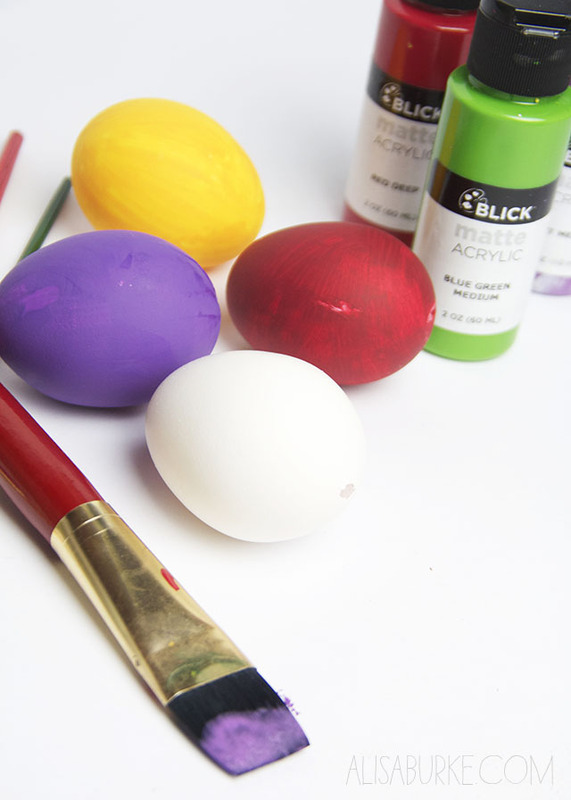 Next I painted my eggs. I like using real eggs that I blow out (remove the yolk by poking a hole in each end and then blow the yolk out). 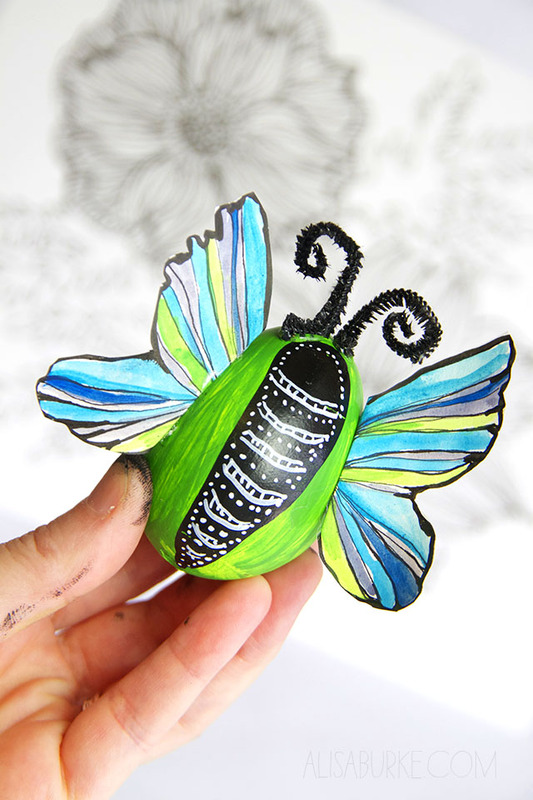 I added the body of the butterfly to the egg, glued on the wings and added pipe cleaners to for antenna. 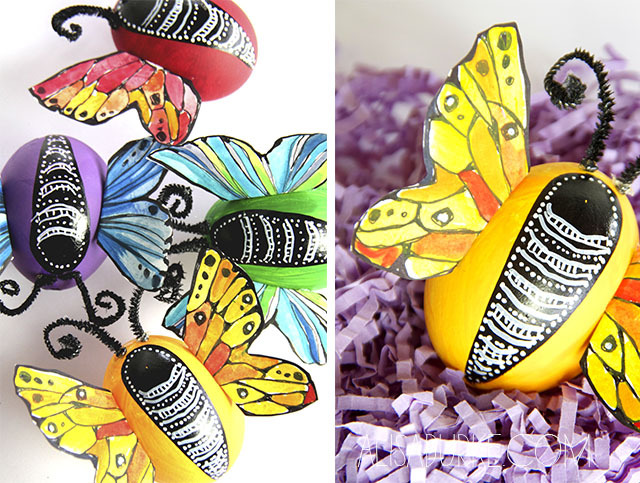 The result are cute colorful little butterflies perfect for any Easter celebration! 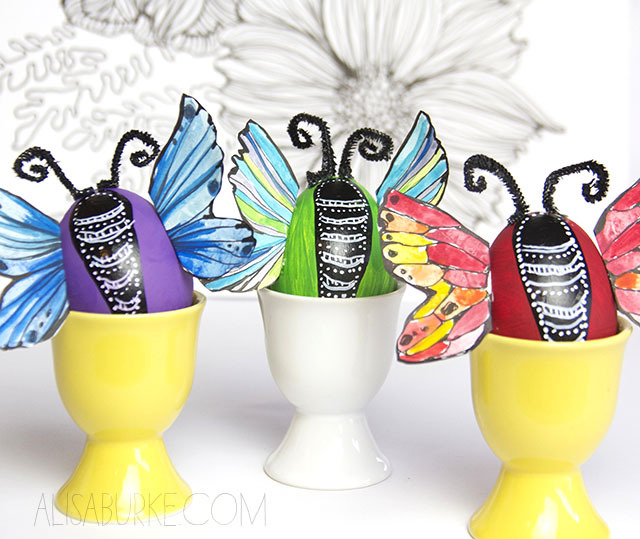 Looking for more egg decorating inspiration? Have a look at all the tutorials I've shared over the years! How sweet are those Butterfly eggs!! Oh dear, I wish I had seen those before Easter, they're so beautiful!